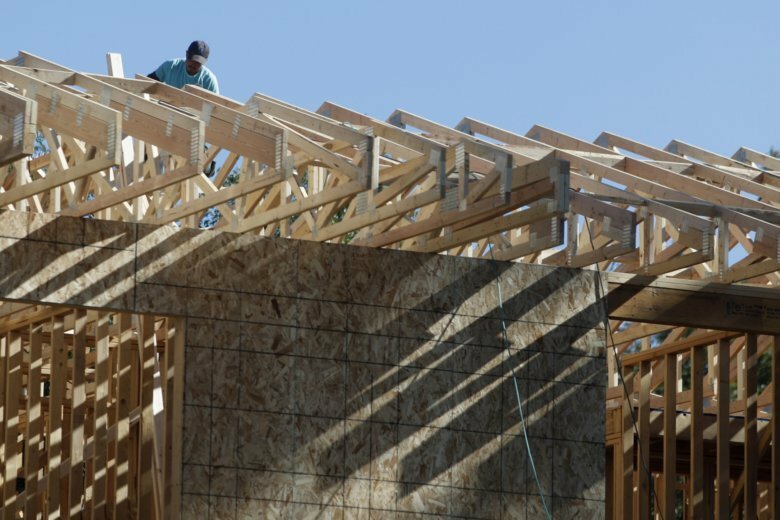 WASHINGTON (AP) — U.S. home construction rebounded in August at the fastest pace in seven months but applications for new building permits plunged, sending mixed signals for an industry that has been struggling with rising lumber costs. Housing starts increased 9.2 percent in August to a seasonally adjusted annual rate of 1.28 million units, the Commerce Department reported Wednesday. Housing starts had declined 0.3 percent in July and 11.4 percent in June. The increase was the biggest since a 10.2 percent advance in January. Application for building permits, considered a good indication of future activity, fell by 5.7 percent in August after a 0.9 percent rise in July. Permit applications have been down four of the past five months. Builders have struggled this year to deal with rising costs for lumber, land and labor. The National Association of Home Builders estimates that lumber prices have shot up by about $7,000 per home since the start of 2017, largely due to tariffs the Trump administration has imposed on imports of Canadian softwood lumber. The strength in August was led by a 29.3 percent surge in apartment construction, a volatile category which had fallen by 3.7 percent in July and 16.6 percent in June. The bigger single-family category saw an increase of 1.9 percent in August following a gain of 1.1 percent in July and a fall of 9.3 percent in June. The home builders group reported Tuesday that its index for builder sentiment held steady at 67 in September, a level that is consistent with further increases in home construction. The sentiment number may be firming after having slipped this year from its recent high in late 2017. Economists are hopeful that housing will rebound from its recent slowdown, helped by low unemployment and strong overall economic growth.